As always, I'll keep any guesses private until I reveal the answer in a day or two. One of those “tree wraps” ? Part of a fence or space divider? I couldn’t resist and I cheated… Particular of a sake barrel? I cheated. Gekkeikan Okura Museum (月桂冠大倉記念館) gave out the answer ~! 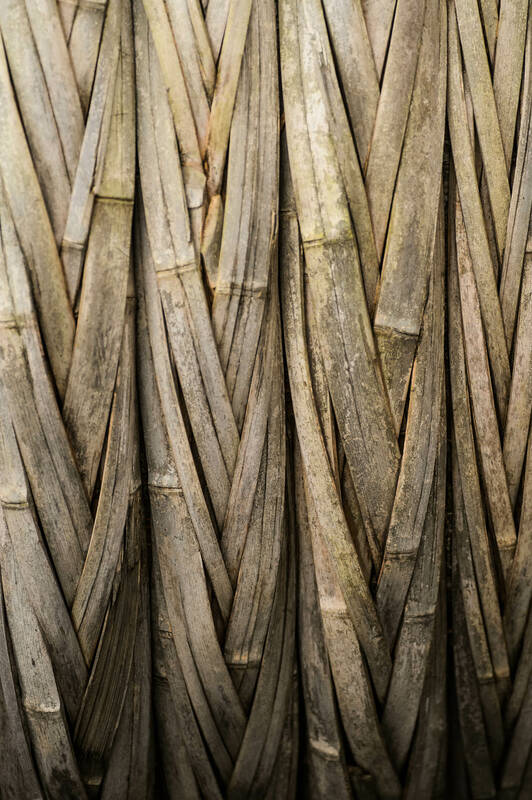 Bamboo strips of big s*k* b*rre*. 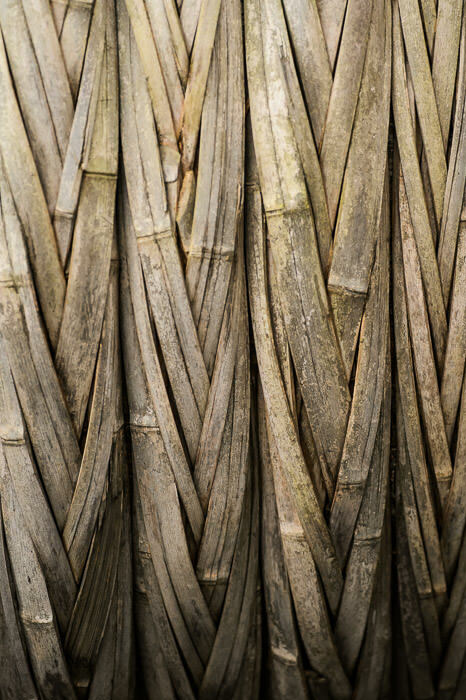 A woven dried bamboo fence.